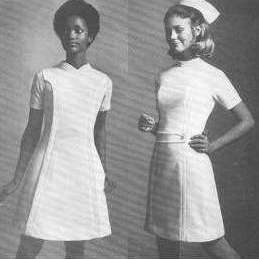 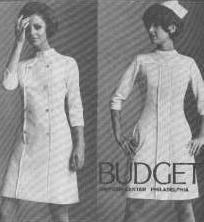 Pictures of the nurse uniform manufacturer budget from the USA. 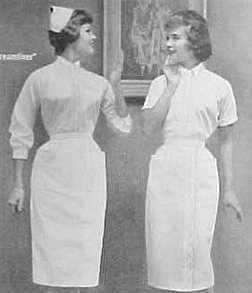 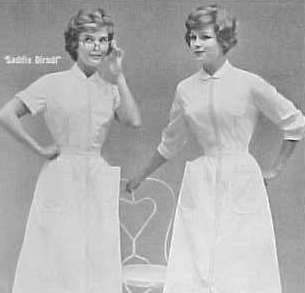 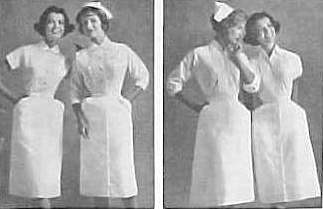 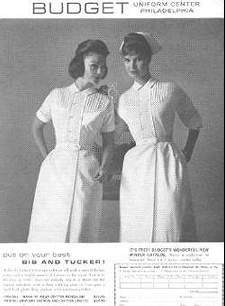 They make nurse uniforms from the 50s. 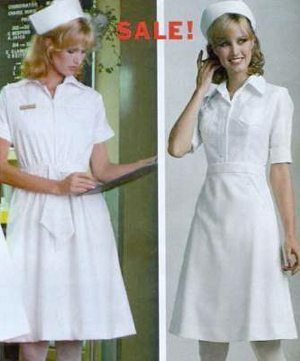 till the 80s. 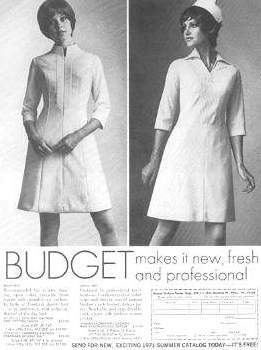 On this page you can see the evolution, first in black and white then in colour. 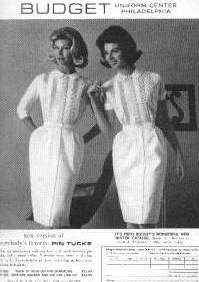 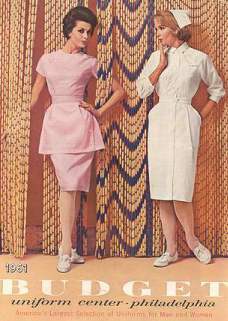 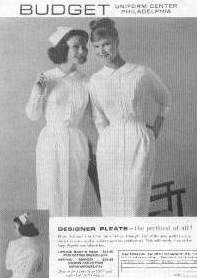 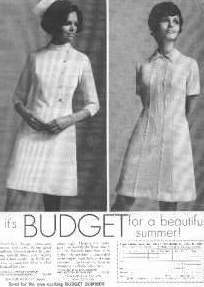 Budget Uniforms, advert from 1960. 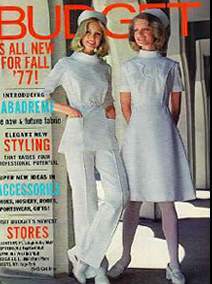 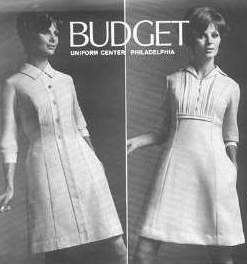 Budget Uniforms, cover from 1961. 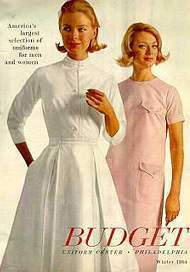 Budget Uniforms, cover from 1941. 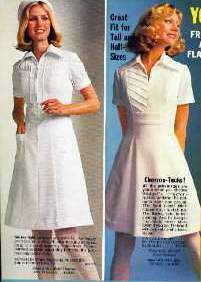 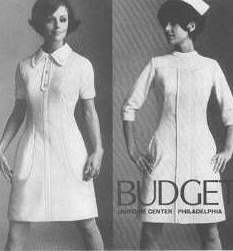 Budget Uniforms, advert from 1970.